Welcome to the Dec 25th event, everyone! It is now only a few short hours until our December 25th prayer begins! If you celebrate Christmas, we hope you're having a wonderful holiday with family and friends and keep in your heart all those who may not be as fortunate. For no matter our nationality, ethnicity or religion, we are all ONE. We share one planet, we are made of the same stuff. Each one of us has laughed, has cried, has hoped and dreamed and is a BEING WORTHY OF LOVE. Michael reminded us of this so often and today, on the six-month anniversary of his passing, many of us are feeling especially vulnerable, but perhaps closer as well. Just remember that you are not alone. 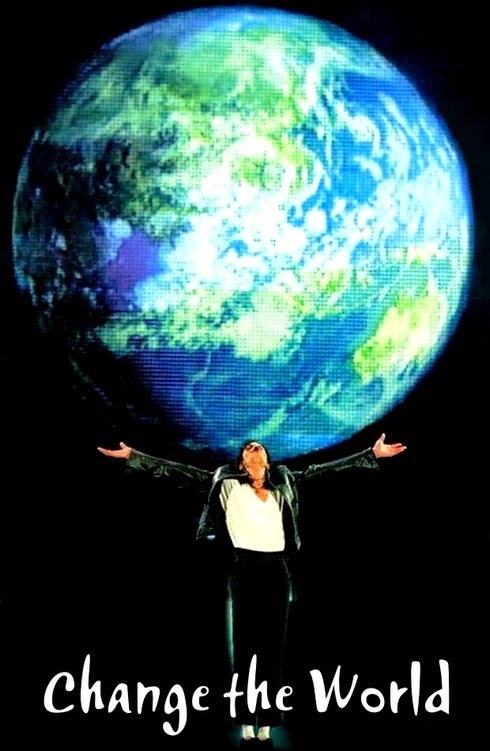 We are all here together and as ONE we will continue Michael's legacy by spreading love and peace, by doing what we can to heal the world. Not just for Michael, but for everyone. At the official prayer start time, please remember that the goal is to all collectively focus on LOVE and then in connecting to each other and letting the love spread through the world. 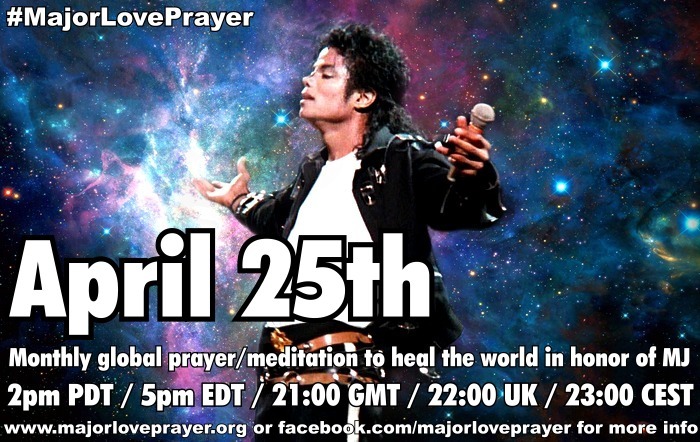 In the moments before the start time and as we are winding down the Major Love Prayer, it is a perfect and powerful opportunity to pray/send your wishes for Michael, for his children and family, for your loved ones and others. ***One such person we hope you will include in your own prayers is a 12-year-old boy named JOSHUA. He lives in Germany and is a huge Michael Jackson fan. On October 28th Joshua was diagnosed with leukemia and is now fighting for his life. (For more information see michaeljacksontributeportrait.com). "There's nothing that can't be done if we raise our voice as one!" Thank you all and 'see' you at 22:00 GMT/2pm Los Angeles time! L.O.V.E.! Na Bbilia ... Diz Jesus; que onde dois ou mais se reunirem em meu nome ali estarei. beijos a todos, e parabens mais uma vez, pela boa ideia. Wait for you Mr.M J Jackson. MY HOME ! MY PLACE ! MY PLANET ! Nous voici dans le même vaisseau que toi ! Où ton corps repose ! Où es-tu réellement Michael je voudrais tant le savoir, je voudrais tant que tu puisses être à côté de chacun de nous dans cette peine que nous avons pour toi ! Demain nous allons nous réveiller et nous dire Michael nous a quitté il y a six mois ! Le temps continue néanmoins sa poursuite infernale et toi tu repose pour l'éternité à Glendale ! Je t'aime mon ange !! He made, he makes us wonder, he danced, so we did too. He sang until we sang louder, and when he smiled - we smiled back. Because this time, instead of falling into the jump, we're rising, reaching - for the love we saved. Yeah, Deborah Ffrench, we are millions. Thank you for spreading the word actively and living love. I came across some sites where I saw your name.